Why are public toilets so lacking in cities across North America, despite our wealth? Public bathrooms are an amenity we all need. Yet few of us talk about them openly, and cities often get them wrong. So how should governments and businesses provide for this most basic bodily need – and what does it mean for citizens when they have no place to go? Contributor Lezlie Lowe flushes out the answers on a road trip, with many bathroom breaks, across North America. While European cities have many more public toilets than North American cities, they are slowly seeing a decrease in the service. So competitions such as "Loo of the Year Awards" hope to encourage additional (and rather fabulous) public toilets. 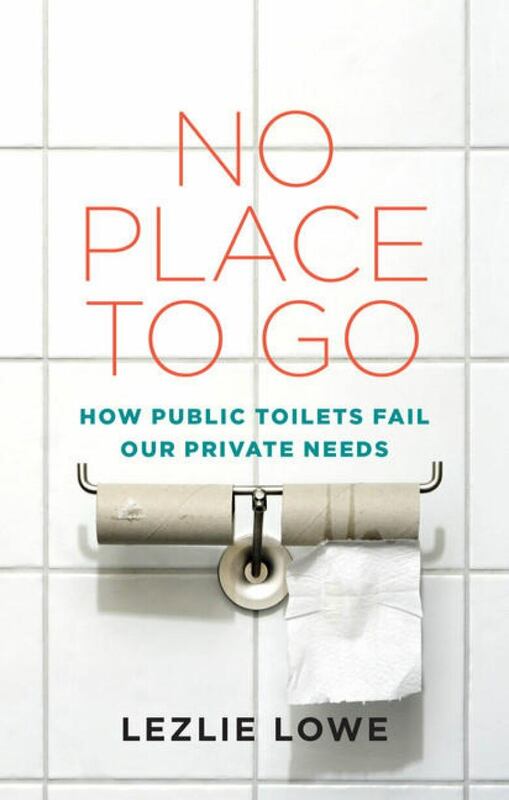 No Place To Go: How Public Toilets Fail our Private Needs by Lezlie Lowe is published by Coach House Books, 2018. More than thirty years after founding All Mod Cons, Susan Cunningham is still involved in toilet activism, well beyond being the official holder of the organization's boxes and folders and files (no small feat in itself). In 1999, the group merged with the Loo of the Year Awards to become the British Toilet Association, which Cunningham helmed for a time (now headed by 'linebacker' Raymond Martin). She still regularly cranks up the toilet volume. Writing letters, demanding better. She delivered a speech at a 2011 Welsh Senate of Older People 'P is for People rally' at the Welsh Parliament. At the time, the BTA estimated there were forty percent fewer public bathrooms in the U.K. than there had been ten years earlier. The loss of loos has increased since. Raymond Martin estimates it's fifty percent now. Mike Bone and his wife Donna run the Loo of the Year from their office between London and Brighton. The organization is contracted to inspect toilets in England, Scotland, Wales, and Ireland – in service stations, airports, shopping centres, or parks. The Loo of the Year measures 100 different bathroom criteria, including: 'Are the urinal outlets free from any debris – cigarette butts, litter, etc., and free from malodour?' And: 'Is there a colostomy bag shelf available adjacent to the WC?' An inspector from the organization writes up a report, grading the facility, and the bathroom is entered into the awards. The Loo of the Year encompasses national and U.K. prizes in fifteen market sectors and an astonishing sixty-one categories, as well as certificates of excellence for attendants. In 2012, the Bones added platinum to the bronze-silver-gold grading system as a way to up the stakes and to commemorate the award's twenty-fifth anniversary. That makes 2017 its thirtieth anniversary. It's been going that long. Bone came from a toilet background, working for years as the operations director for a company that provided commercial restroom services. He prizes clean public facilities: 'unless we have good toilets, everybody suffers,' he says – but just as much, he takes pride in being the guy who makes everyone want to improve their own loos. 'Just knowing that you are satisfying a basic human need. We need to eat, we need to drink, we need friends, we go to the loo.' And who wouldn't want to be the purveyor of a shiny golden toilet-seat trophy, anyway? ​Lezlie Lowe is a Halifax, Nova Scotia-based freelance news columnist, feature writer, radio documentary maker and journalism teacher. She is the author of No Place To Go: How Public Toilets Fail our Private Needs, published by Coach House Books, 2018. Doniece Sandoval is the founder of Lava Mae in San Francisco. Joan Kuyek is a founding member of Ottawa's Gotta Go! Fran Reiter is a former deputy mayor of New York City. Dan Biederman is a founder of Bryant Park Corporation in New York City. Carol McCreary is a founder of and program manager at Portland, Oregon's PHLUSH. Sheila Cavanagh is an associate professor of Sociology and the former chair of the Sexuality Studies Program at York University in Toronto. **This episode was produced by Mary Lynk.